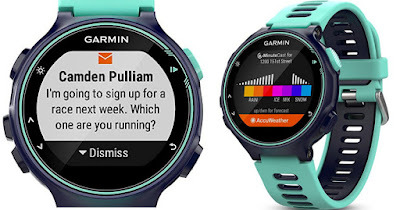 Head over to Amazon where they are offering the Garmin Forerunner 735XT Watch in midnight/frost blue for only $249.99 shipped (Retail $399.99)! This is the ultimate smart watch for athletes as it tracks your activity and heart rate or you can sync it with a chest strap to get more in-depth analytics. Plus, it has all the functions of a smart watch!